Toyota Entune 3.0 is suite of apps and connected services designed to enhance your driving experience and provide a peace of mind whether you are just running an errand or road tripping across the country. Entune 3.0 is currently available on the 2019 Avalon, 2019 C-HR, 2018 and 2019 Camry and Camry Hybrid, 2019 Corolla Hatchback, 2019 RAV4 and RAV4 Hybrid, 2018 and 2019 Sienna. 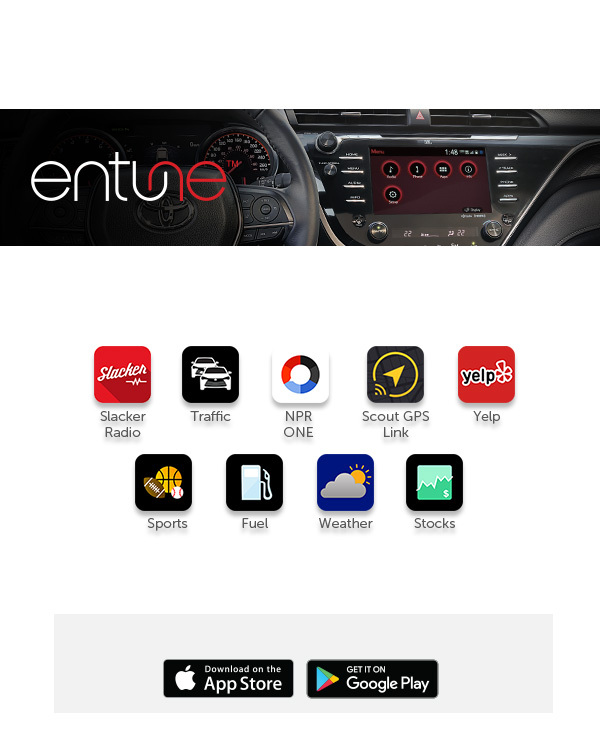 Entune smart apps include apps for music listening such as slacker, navigation with Scout GPS, traffic reports with the traffic app, up to date sports scores with the sports app and more! With the press of the SOS button, Safety Connect provides 24/7 support for emergency assistance with live operators, giving you peace of mind every time you step into your vehicle. The Stolen Vehicle Locator can help authorities find and recover your vehicle. Enhanced Roadside Assistance can bring you help if you have a flat tire or need a tow. Now you can use that familiar apple iphone interface in your new Toyota Vehicle! 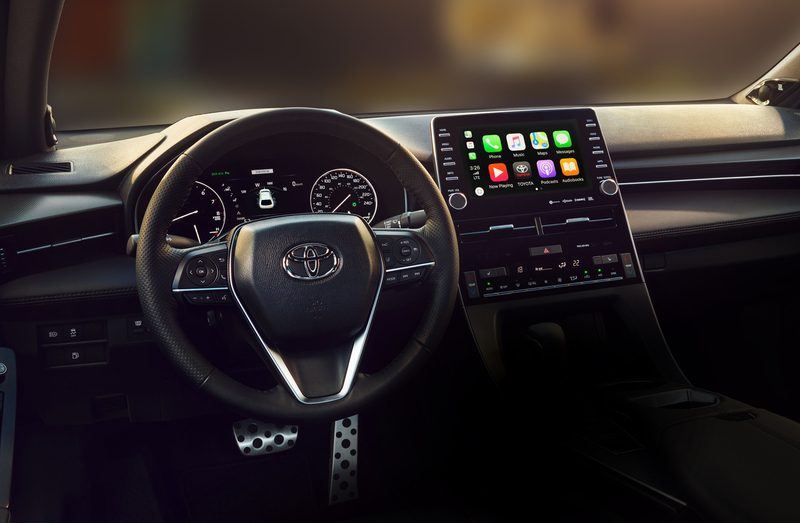 Apple Car Play is now availble on the 2019 Avalon, 2019 Sienna, 2019 Rav4 and Rav4 Hybrid, 2019 Corolla Hatchback, 2019 Toyota C-HR, and 2019 Camry and Camry Hybrid!